Citrus Hills is located right in the heart of tranquil Citrus County, Florida. The Villages of Citrus Hills offers various communities including Clearview, Brentwood, and Terra Vista as well as the original Citrus Hills neighborhood. Clearview is situated between Hernando, Florida and Inverness, Florida and offers single family homes backed up to dense pine forests. Brentwood sits on gentle slopes overlooking the Brentwood golf course and offers villas and condos as well single family homes. The newest area in Citrus Hills is Terra Vista. 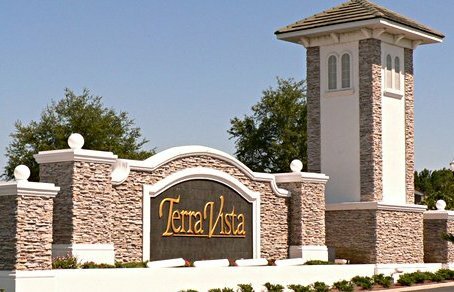 Terra Vista of Citrus Hills is a gated community built on top of the highest point in Florida, from Terra Vista you can see all of Citrus County. Terra Vista also has one of the newest and most beautiful golf courses called Skyview.The Skyview golf course at Terra Vista allows you to play golf with the greatest view you will find in Florida. The other two golf courses in Citrus Hills, The Oaks and The Meadows that are also very beautiful golf courses and are must play destinations. If you are interested in living in Citrus Hills let the Cunningham Team at REMAX Realty One find the perfect home for you. Click below to view Citrus Hills Listings by price range.